We offer chimney cleaning, dryer vent cleaning, refrigerator cleaning, air conditioner cleaning, and related services in all of our service locations. 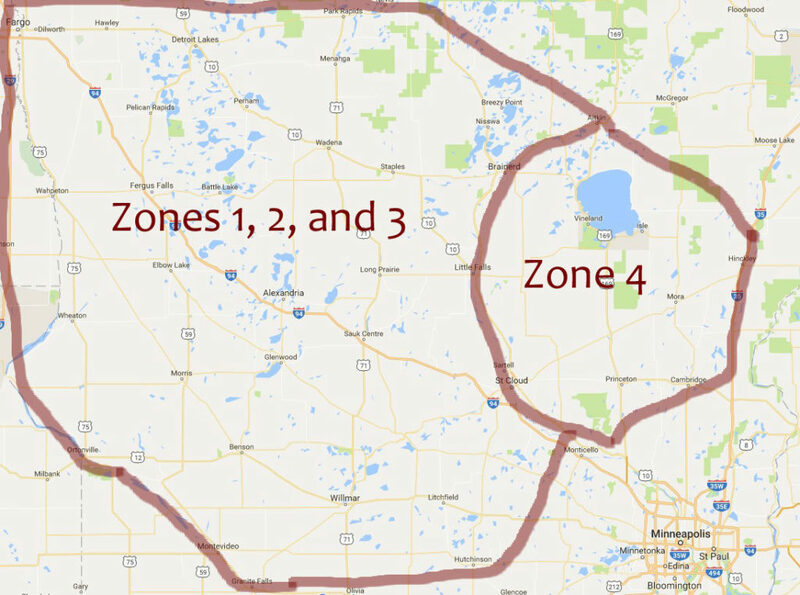 Our service area includes Moorhead, Detroit Lakes, Fergus Falls, Wadena, Brainard, Little Falls, Alexandria, Morris, Willmar, Litchfield and St. Cloud. See below for a more complete list of towns included in our furnace and duct cleaning service area. Dust Busters Furnace & Duct Cleaning, Inc. is a professional owner-operated company with the experience and knowledge to get the job done right. All of our jobs are owner supervised and approved to ensure quality. Our customers are extremely important to us. We place a very high value on treating our customers with great respect, honesty, and quality work. We never take this for granted. We go out of our way to do the best possible job we can do for our customers. Over the years our service area has grown and expanded from our central location in Alexandria. We're happy to service everyone in any of our service areas. Please don't hesitate to call if you have a question about your location with regards to duct cleaning service or chimney sweep services in your area.